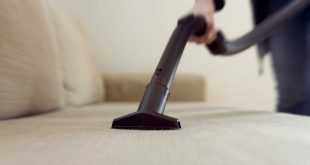 The carpet is an indispensable item in a home, so it is important how you maintain it. 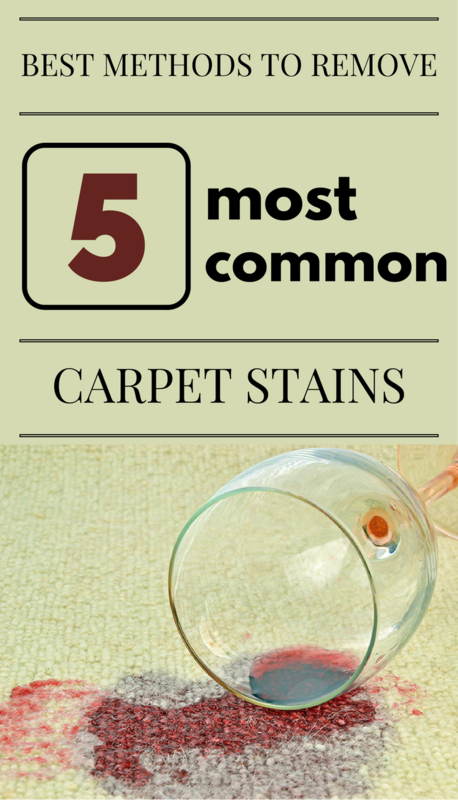 Learn how to get rid of the most common stains on the carpet. Carpet maintenance is not an easy process, especially if you have children or a pet. Over time, the stains can affect carpet’s appearance and its life span. 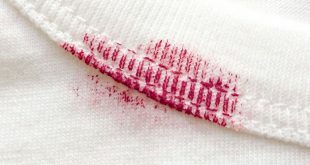 In what follows, we present some methods to get rid of the most common stains. To get rid of coffee stains on the carpet, mix warm water and some salt in a bowl. Rub the affected areas with a cloth or sponge soaked in this solution, then wipe with mineral water. Chocolate stains, once forgotten, may have less pleasant consequences. 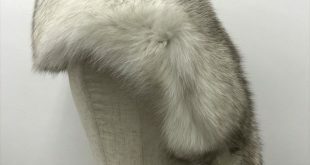 To remove them, rub them with a cloth soaked in a mixture made of one part glycerin and one of hot water. 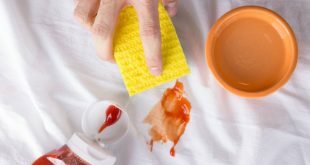 After stains disappeared, rinse the area with warm water. 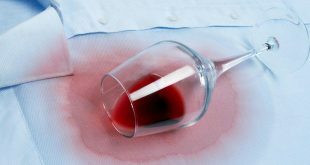 Red wine stains can be removed by dabbing them with a cloth soaked in white wine or by sprinkling salt on them and rinsing later. The salt-water solution is recommended for all stains caused by alcohol. If your carpet was stained with grease, sprinkle some baking soda on it and rub gently. Let the baking soda act for several hours then remove it. 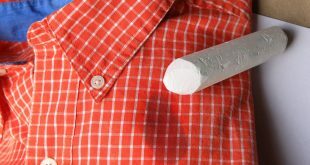 If the stain has not gone, rub it with a little dishwashing detergent. Bloodstains on the carpet may be removed if you apply some hydrogen peroxide directly on the stain and you let it work for a few minutes. After you’ve rinsed the area, repeat the procedure until the stain disappears. Another option is to rub the stain with milk, then wash it with detergent. You have a few handy options to get rid of ink stains. A first option is to pour some hot milk over them then you have to rinse the area. Second method: Make a solution of one teaspoon of lemon salt and 200 ml of warm water and rub the affected area. Third method: Dab the carpet with a mixture of alcohol and vinegar then rinse with water.